As Christians, we shouldn’t be forcing all kinds of rules on each other. That would be the opposite of the liberty that Jesus intended to bring. So while we’re not intended to be hamstrung by rules, we also have the responsibility to identify what might not be beneficial or constructive for us. And I’ll tell you, it’s a lot harder to figure out what’s beneficial than it is to simply be told what we’re “allowed” to do. It’s hard because what might be destructive for you may not be a problem for someone else. Denying yourself freedoms that others might take for granted is no walk in the park. It’s a lot easier to be told what is in and out of bounds. When you start talking about leadership, the discussion about freedom and liberty becomes even more important. Once you assume a position of leadership, your freedom can affect the people who are looking to you as an example. 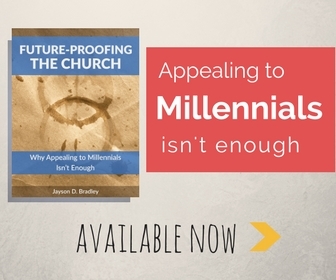 We need to communicate to potential leaders in our churches that the more influence we have, the more we need to be mindful of the ways our freedoms affect others. 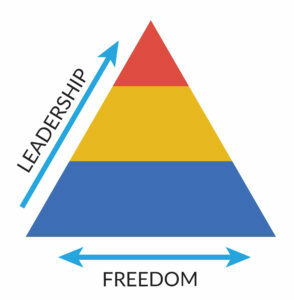 As it shows in the triangle chart on the right, the higher you rise in leadership, the more freedoms you must be willing to give up. In the eighth chapter of 1 Corinthians, Paul deals with a touchy subject. There are some places in Corinth making animal sacrifices to idols of pagan gods and then serving the meat in temple restaurants. Obviously some Christians got caught dining there because this question gets raised to Paul. Is it acceptable to eat meat that’s been dedicated to an idol? Paul begins his response by siding with those who are eating in the temples. He basically reminds the Corinthians that idols are pretend, and for Christians, food sacrificed to idols is simply food. But he goes on to recognize that not everyone feels that way. Many Corinthian Christians would have come out of temple worship; they’d still struggle with the power and influence that they previously attributed to idols. For them, it is wrong to eat food that’s been sacrificed to other gods. And Paul says that if they feel that way, they shouldn’t do it. If they believe that it’s wrong, they need to stay true to their conscience until they mature beyond this conviction. He goes on to say that we shouldn’t use our freedom in a way that would cause our brothers and sisters to struggle. If another Christian believes that eating meat sacrificed to another god is wrong and my behavior encourages him to do it anyway, I’m hurting him. Now it’s important that we don’t misuse the spirit of this passage. I’ve heard this passage used to deny Christians their freedom. Too loose of an interpretation means that no one can do anything that any other Christian thinks is a sin. If we’re not careful, this becomes a de facto law that prohibits all freedom. That’s not what we want. Ideally, it’s a paradox that we all work through regarding our freedoms and how they’re expressed. The key is that we need to hold ourselves accountable, and as we grow in our leadership, so does our attention to our freedom. We need to realize the costs associated with leadership. As our influence increases, we must ensure that our freedom isn’t hindering others. There was a time when drinking was frowned on in the church. Alcoholism—and the myriad of abuses associated with it—were rampant, and many in the church considered it the devil’s elixir. Anyone who drank alcohol was considered a reprobate. Over the last couple decades it has become obvious that this overreaction is silly. Alcohol wasn’t evil, and could actually be part of a healthy expression of Christian spirituality. But it seems that the pendulum has swung in opposite direction. There are a lot of Bible studies meeting in pubs and many people in positions of Christian leadership frequently posting images of them drinking to social media. The spirit behind a lot of the posting seems to be a celebration of Christian freedom. While I have absolutely no problem with anyone drinking (and can even understand the desire to express the freedom we experience in Christ), it seems like we should wrestle with the potential damage we could be doing. We might be damaging both the people who were raised believing drinking was wrong and others who struggle to keep their drinking under control. 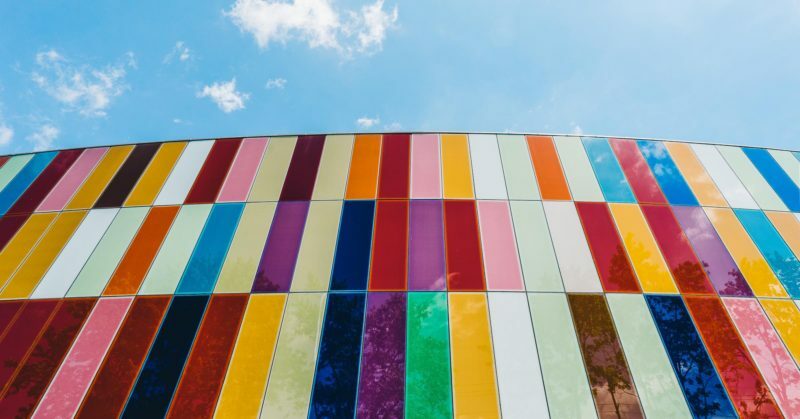 Christian maturity usually operates on a spectrum that starts with an adherence to the law, moves to a revelation of personal freedom, and ends with a desire to restrict our own freedoms out of a love of others. As a leader, to get stuck in the middle can do irreparable damage to those who look up to us. This could mean that a leader quits drinking entirely or maybe they make different kinds of choices about the way they communicate it. Even think about it and choose to continue on their current track, a leader needs to think through things issues like this. As leaders, we don’t want to use our freedoms in a way that people may misunderstand our values and question our morals and integrity. Imagine that you had a casino in your town and you recoiled against the effects of gambling on people in your town. But when the state lotto hits $40 million, you don’t think twice about buying a ticket. After all, it’s only a couple bucks and you have no hope of winning. It’s just fun to daydream about the possibility that you could win. It’s not that there’s anything wrong with buying a lottery ticket. The problem is that you’re undermining every discussion you’ve ever had about the dangers of gambling. Not because there isn’t a difference between buying a lottery ticket and blowing $200 at a casino, but because it ultimately introduces a question about your integrity with immature Christians. Christ modeled a leadership that served and sacrificed for others. In the same vein, Paul frequently demonstrated that he’d gladly give up all of his personal freedoms if it meant that he could have a greater impact on the kingdom. The hard thing to help potential leaders understand is that they need to choose their own sacrifices. They can’t expect others to enforce it for them. If they’re serious about helping others lives of simple obedience, they’ll do the hard work of removing from their lives anything that could negatively impact the faith of others. Although I use some random examples of potential issues, this post isn’t about gambling or drinking. It’s not my job to tell anyone what they should or shouldn’t do. Rather, it’s intended to encourage some soul searching about leadership. Just like professional runner begins to look at areas in their life where sacrifices could cut seconds off of their time, a Christian leader looks at areas where they can make sacrifices for the good of the Kingdom. It’s not easy, but it’s necessary.